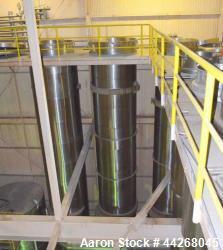 Below is Aaron's inventory of unused and used tubular evaporators. If you are looking to sell your used tubular evaporator submit a request online or contact Erik Eichert at 630-238-7480. 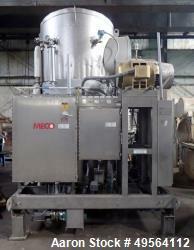 Used- MECO Vapor Compression Still, Model PES1000MSSH. Nominally rated 1000 gph. 75 hp blower. Skid mounted. Serial# 7702, built 2001. Used- MECO Vapor Compression Still, Model PES1000MSSH. Nominally rated 1000 gph. 75 hp blower. Skid mounted. Serial# 7701, built 2001. 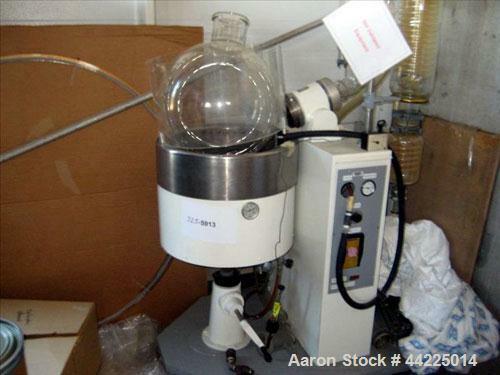 Used- Buchi Rotavapor Evaporator, Model 175X. Heated water bath with glass parts, main flask, condenser unit. On base with controlswheels. Used- Aqua-Chem Batch Type Forced Circulation Mechanical Vapor Compression Evaporator System, Model VCFC, Stainless Steel. Rated 5000 pounds an hour, feed flow clean 6000 pounds an hour. Skid mounted. Serial #SP84-15656, built 1984. 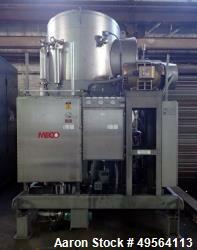 Used- Niro Single Effect Falling Film Evaporator. Rated 22,000 PPH input at 48% solids. 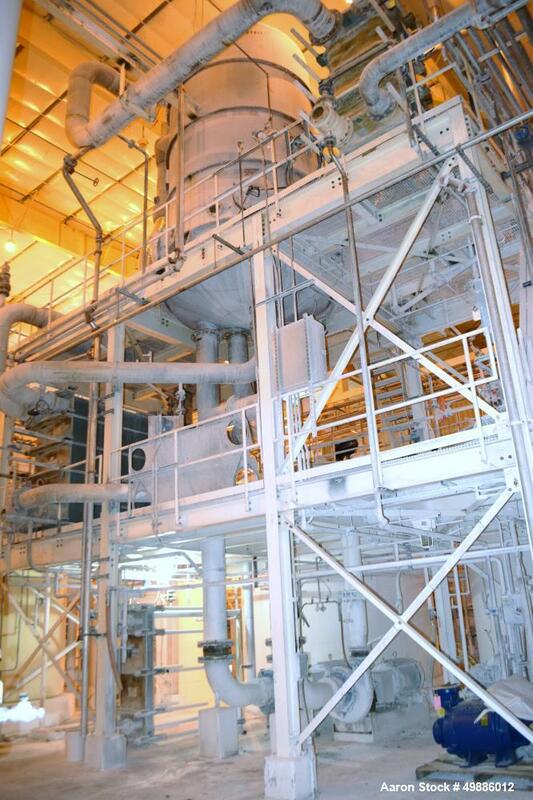 Output rated at 22,000 pounds per hour, 48% solids inlet, 54% solids output, 1,320 pounds per hour water evaporation. Stainless steel. 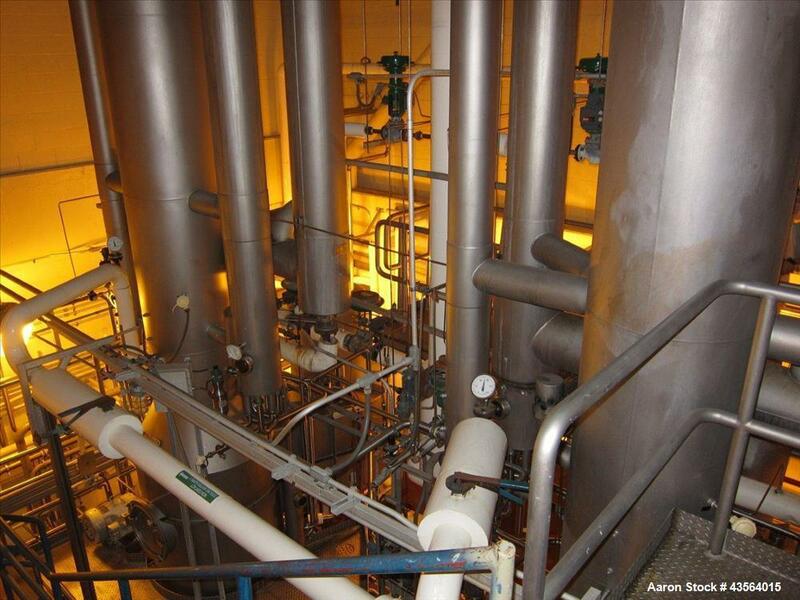 Includes: vapor body, tanks, pumps, condensers, piping and clamps, valves, vacuum system, controls, etc. Year 1997. 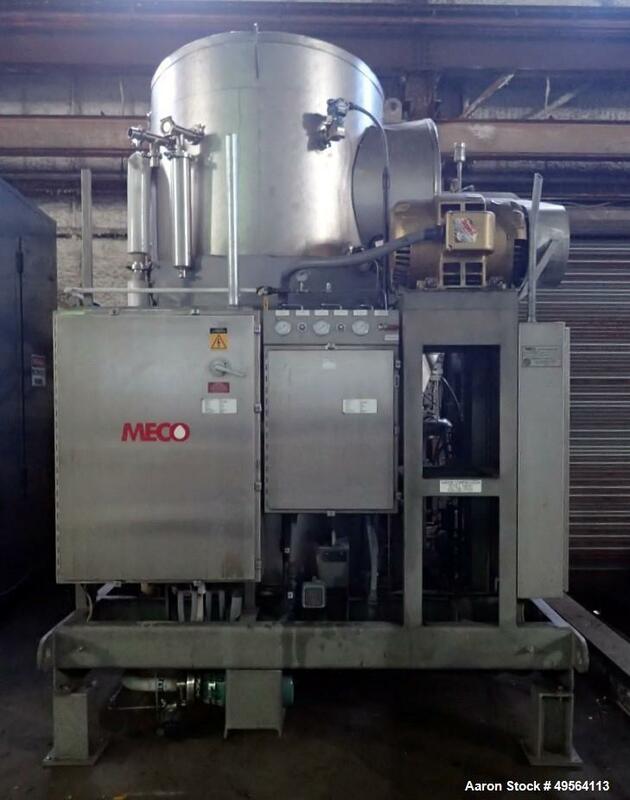 Used- Niro Single Effect Falling Film Evaporator, Rated 22,000 PPH input at 48% solids. 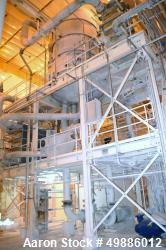 Output rated at 22,000 pounds per hour, 48% solids inlet, 54% solids output, 1,320 pounds per hour water evaporation. Stainless steel. Includes: vapor body, tanks, pumps, condensers, piping and clamps, valves, vacuum system, controls, etc. Year 1997. 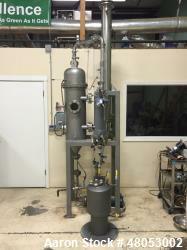 Used: Buflovak Rising / Falling Film Evaporator. 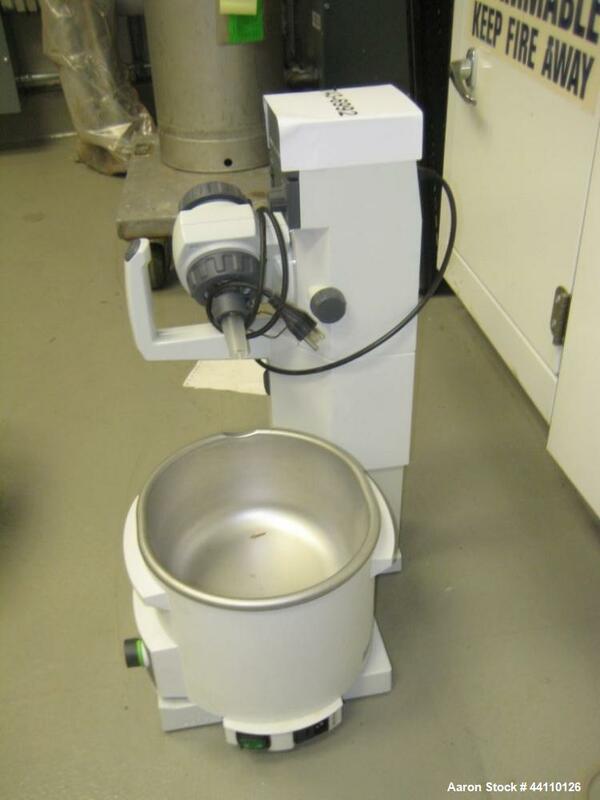 Model 10 SEPARATOR. Stainless steel. Rated 15 Psi @ 550 Deg F. With 4 Gallon Condensate Pot. NB # 9866. Yr. 2012. With Sterlco Hot Water Temperature Controller, Model M2B9312-ACX. Watts per heater 24kW. 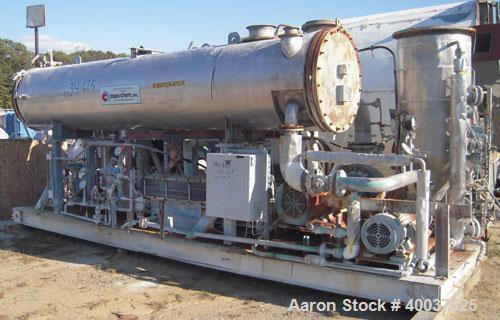 Includes .5hp, 3/60/208-230/460, 1725 rpm motor, American Industrial heat exchanger, 150 psi maximum allowable pressure at 350 degrees F. 3/60/230 volt. Serial# 30M5520. Yr. 2000. 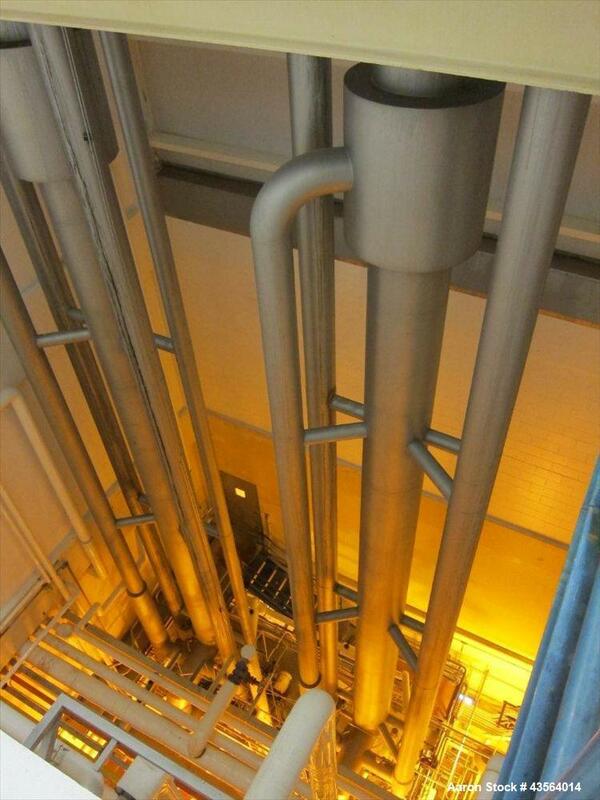 With Electro-Steam Generator, Model LG-30, 30 KW, 3 BHP, 240/120 V. 3/50/60, s/n 41064, Yr. 2014. SqFt: 1 Effects: 1 Material: Stainless Steel Mfr: Aqua Chem Inc.
Used- Triple Effect Falling Film Evaporator, 321 Stainless Steel. Approximately 2000 square feet. 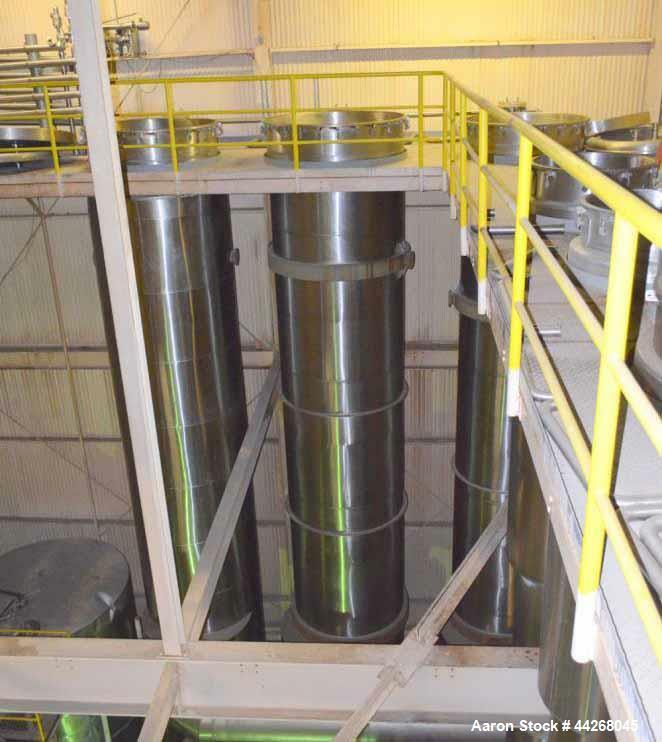 Unit consists of: (1) Evaporator chamber approximately 60" diameter, with a shell and tube heat exchanger. 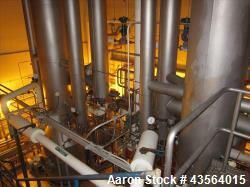 (1) Effect condenser approximately 890 square feet, (1) Effect condenser approximately 870 square feet, (1) Effect condenser approximately 215 square feet. Includes miscellaneous valves.